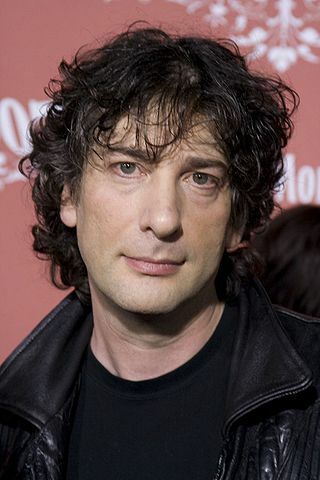 Neil Gaiman visited China in 2007 for the first ever, party-approved, Science Fiction and Fantasy Convention. He asked a top official what had changed; in the past, these genres had been disparaged. The official said his government had realized they were good at making other people’s inventions, but they didn’t invent or imagine new things themselves. Gaiman told this story while giving the 2013 Reading Agency annual lecture on the future of reading and libraries. The Reading Agency is a British charity that supports libraries and literacy programs, with the mission of giving everyone “an equal chance in life by helping people become confident and enthusiastic readers.” Another story Gaiman told underscores the importance of the Agency’s efforts. In New York, he once attended a talk on private prisons – one of America’s growth industries. In trying to predict the need for future facilities, prison industry officials have developed a simple algorithm based on one key factor – the percentage of 10 and 11 year olds who can’t read. Gaiman spoke at length of fostering not just the ability to read, but the love of reading. There are no bad authors or bad books for children, he said. Adults can destroy a child’s love for reading by giving them “worthy-but-dull books…the 21st-century equivalents of Victorian “improving” literature. You’ll wind up with a generation convinced that reading is uncool and worse, unpleasant.” Everyone is different and will find their way to the stories they like and need. Gaiman expressed what he believes to be our responsibilities to children and to our future. Reminding the audience that everything made by humans begins with imagination, we have a responsibility to use and foster our imagination of a better world than the one we found. This entry was posted in Authors, Books, Culture, Science Fiction and tagged authors, books, fantasy, fiction, imagination, libraries, Neil Gaiman, science fiction, stories. Bookmark the permalink. This is (I think) my first ever reblog. I always enjoy Morgan’s posts, and anything Neil Gaiman says is worth listening to, but when this includes talking about the value of LIBRARIES….I”M IN! Morgan, I hope you don’t mind, I’ve reblogged this post. It’s terrific! Lemme see – do I mind compliments and the chance for more readers to see my posts? Nope, not a bit. Thanks very much, I always take a reblog as a high compliment. This post has some amazing information. The idea that private prison people are using illiteracy rates of young people for planning should really be a huge wake-up call for all of us. I haven’t read Gaiman’s latest novel, but I did review and LOVE Fortunately, the Milk. So funny. I would love to see him give a talk. Thanks for this wonderful post. I’ve read four of his novels and several short stories, and all are compelling and very distinct. He absolutely does not repeat himself. We read his latest, “The Ocean at the End of the Lane,” aloud last summer on a long day’s drive home from the Oregon coast. Made the miles fly by. I reviewed it shortly afterward – the link is in a comment above. I had bookmarked his comments and then forgotten about it until yesterday. You’re right, such a wealth of ideas and information. PS – Just saw the “Best Books of 2013” results for Goodreads. Over a million votes cast, and Gaiman’s “The Ocean at the End of the Lane” won Best Fantasy. A good choice, in my opinion. I’m usually the dissenting voice whenever I say that I don’t care for Gaiman’s fiction (and I will be again here I’m sure), but I love everything that you quoted from him in your post. I’ve never heard of the correlation between reading level of 10/11 year olds and future prison rates, but it seems like it makes sense, and it’s also frightening that it’s that reliable of a predictor. Lastly, while I haven’t read Gaiman’s “The Ocean at the End of the Lane,” the best Fantasy book to come out this year was “A Memory of Light,” the final book of The Wheel of Time. But that’s in large part because the book did a wonderful job of finishing a story that I started reading about 10 years ago. Either way, I think it’s far and away superior to any of the Gaiman books that I’ve read. Well, one of the comments in the Gaiman lecture was that left to ourselves, we will all gravitate to our own kinds of stories, and that is as it should be. I hadn’t heard that correlation either, but it does make sense, unfortunately. Love this and have already shared it with all my friends. Thank you for sharing this. Reblogged this on It is what it is…. I’ve tweeted this, and will be re-blogging it too. Always good to reiterate these points by Gaiman, but will the box-tickers and local government moneybags pay any attention? Let’s hope so, ’cause I don’t want to fall into cynicism, let alone despair. Thanks for passing it on. I have the same problem with cynicism. A excellent summary by Morgan Mussell on author Neil Gaiman’s timely views on reading, fantasy and why we need libraries.